Fender has added more pedals to its expanding pedal range. The range was only launched a short time ago, but Fender seems determined to capture a big slice of the market with their US designed pedals. And why not? Reviews have been very favourable so far. 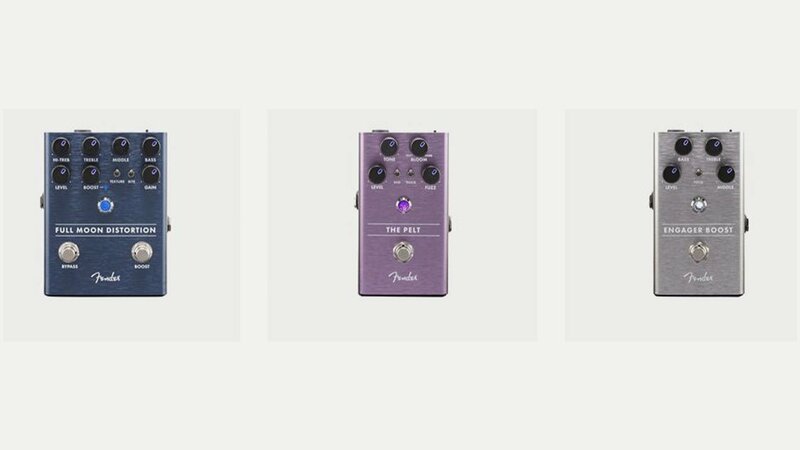 Joining the line up is the Engager – a boost pedal – the Pelt – a fuzz pedal – and the Full Moon – a distortion come boost pedal. That now makes it nine in the range.